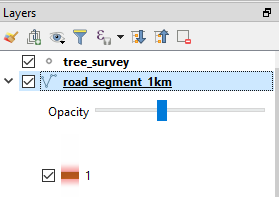 The newer QGIS version, however, does not appear to display such a transparency bar, as seen in next image. Is there a simple way to change a layer transparency in this verion of QGIS? 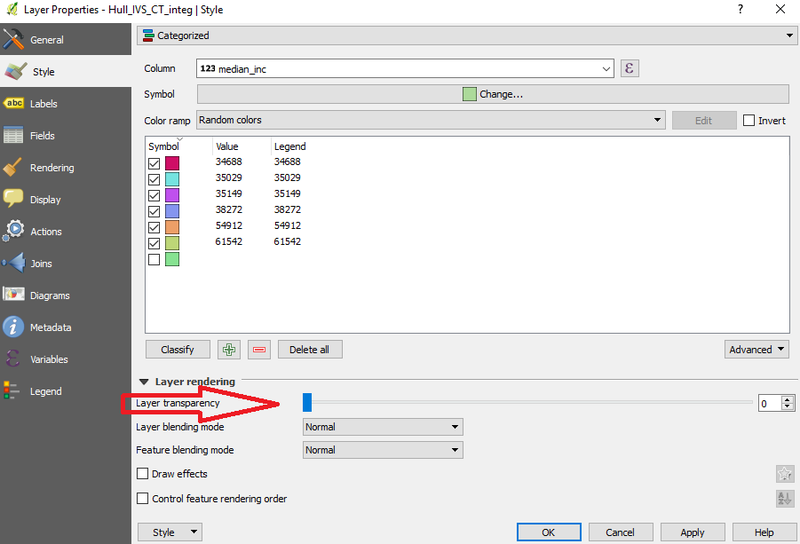 You have to click on the layer rendering arrow (see the bottom of your second image) to access the slider and other option. As an alternative option, you can open Legend tab and select Opacity slider widget. It will add an opacity slider in the Layers panel. Not the answer you're looking for? Browse other questions tagged qgis-3 transparency or ask your own question. How to set the transparency for multiple layers or add a global transparancy preference? 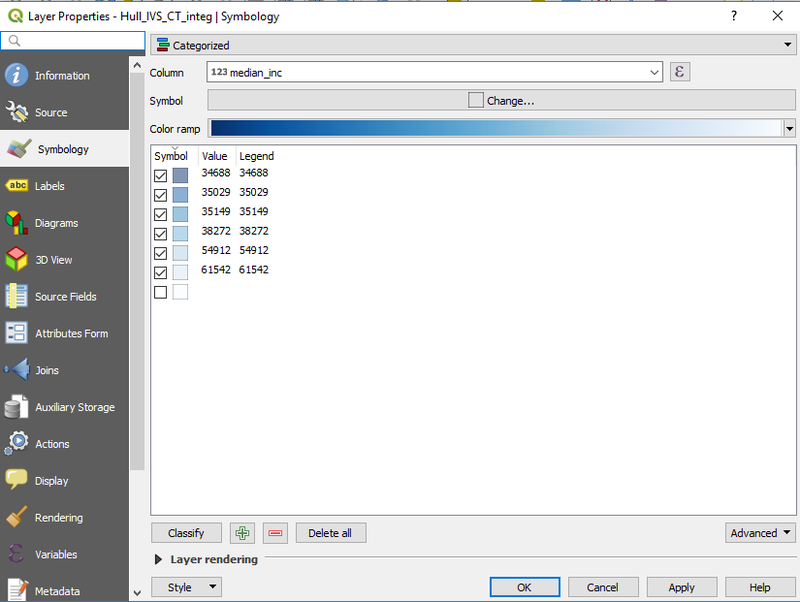 Setting baselayer transparency in QGIS?